Student Spotlight - Federico from Italy! Student Spotlight – Federico from Italy! 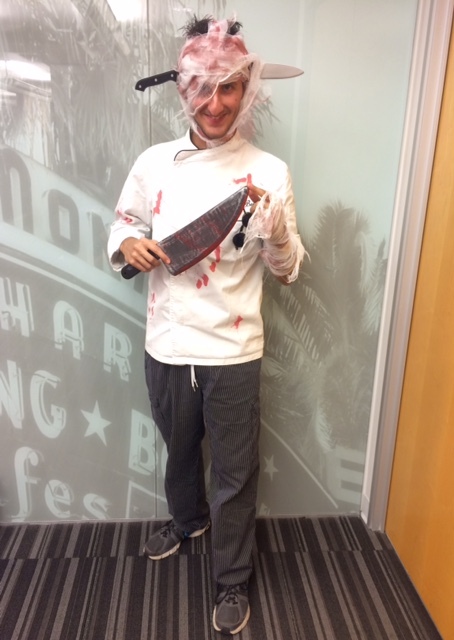 Federico Belli, from Italy, also won ECLA’s Halloween Costume Contest!! Why did you choose to study with EC? First, because it is near to sea, and second because I think it’s better than other schools. What do you like the most about EC teachers? What will be your most unforgettable memory of EC? *** editor’s note: Federico is the winner of ECLA’s Halloween Costume Contest 2015!!! Would you recommend EC to a friend? Why? Yes, for the same reason I chose this school. We chose Federico for the student spotlight because we have seen his skill and confidence with English grow. We are excited to have him study with us! Great job, Federico!!! Want to study English in the USA like Federico? Visit ECLA today!